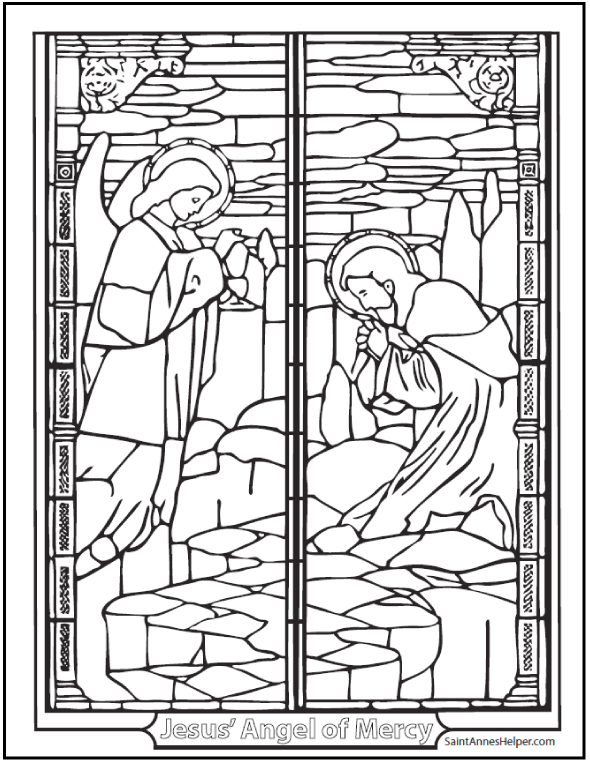 This stained glass Sorrowful Rosary coloring page helps children compassionate their Savior in the Garden of Olives. Beautiful Angel of Mercy! Pray for the virtue of Resignation to the Will of God. The Agony in the Garden is the First Sorrowful Mystery of the Rosary. This coloring PDF prints 8.5x11" single sided. 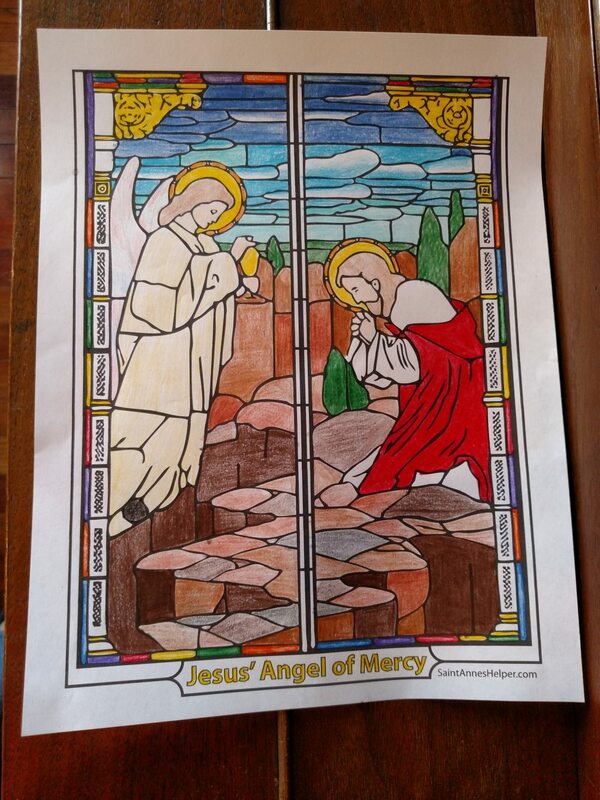 This stained glass coloring page of the Agony in the Garden honors the First Sorrowful Mystery of the Rosary. This is one of our Bible coloring sheets that shows Jesus praying in the Garden of Olives. 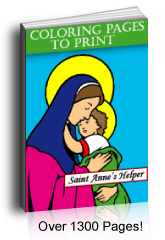 It's good for teaching the Rosary and for Lent. One thing I like about this picture is that it shows the Angel of Mercy helping Jesus. The Angel has the chalice or cup that symbolizes His sorrow. Jesus even asked God the Father to remove this cup, but He was willing to do His will. "Not my will, but Thine be done." Another interesting aspect is that it's from a stained glass window, which gives a religious feel to it. Children respect this and enjoy the challenge of making their pictures look like stained glass windows. Hint: Use light colors. Even dark colors can be used lightly. Sorrowful Mystery of the Rosary coloring page of Jesus and the Angel of Mercy in the Garden of Olives on Holy Thursday night after the Last Supper.